The ULTIMATE "Lahu Muh Lag Gaya" Choreography For Navratri! The Navratras gets us all charged up, right? It’s the season of garba and lots of fun! 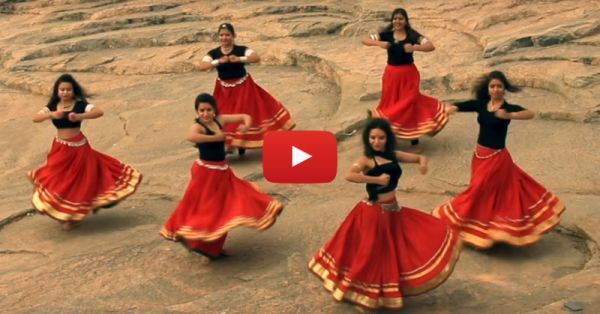 This garba dance video by Priya Kumar is just so nice, and we like it all the more since Navratri is going on. These six girls dancing to “Lahu Muh Lag Gaya” will make even Deepika jealous! There’s no doubt that Deepika and Ranveer’s performance in the song was outstanding, but we have to say this - these girls are totally killing it! So what are you waiting for? Watch their amazing performance NOW. And yeah, don’t forget to bring your dandiya and practice along! Also watch: This “Dhak Dhak” Dance Will Make Your Heart Beat Faster!